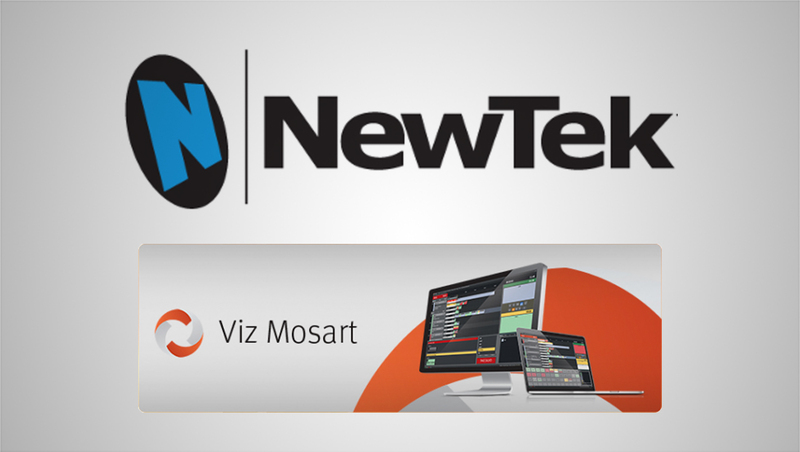 NewTek has announced integration of Viz Mosart, Vizrt’s studio automation solution, with TriCaster TC1 and NewTek IP Series live production systems. This integration will streamline workflows for broadcasters, digital content publishers and corporate video producers. The integration also provides access to cost-effective production with full automation using NewTek’s NDI industry-standard IP transport mechanism. “Automation is a key part of today’s live production landscape, and when paired with an end-to-end NewTek IP workflow that can be virtualized, the possibilities are almost endless,” said Brian Olson, vice president of product management for NewTek in a statement. NewTek will be showing Viz Mosart controlling the NewTek IP Series live production system, including video switching, internal DDR clip playback, and the NVG1 NewTek-Vizrt IP Graphics Server in the appointment suites at the NewTek booth SL5016 during NAB 2018. Rundown creation will be provided by Vizrt’s Showmaker, which now has multi-user support. Full MOS workflows are also available with the industry’s most popular newsroom computer systems — iNews, ENPS, Octopus, OpenMedia and Dalet. NewTek integration with Viz Mosart will be available in Viz Mosart version 4.1, scheduled for release in Q3 2018.